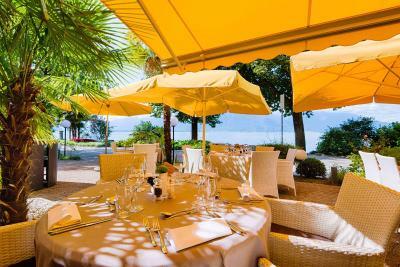 Lock in a great price for Villa Toscane – rated 8.1 by recent guests! The rooms were spacious, very clean and comfortable. The staff was welcoming. The room was large and we were lucky to be on the 3rd floor, so we didn't get the noise from the street or train passing close by. It was really clean and bright. Very friendly staff who aim to please. 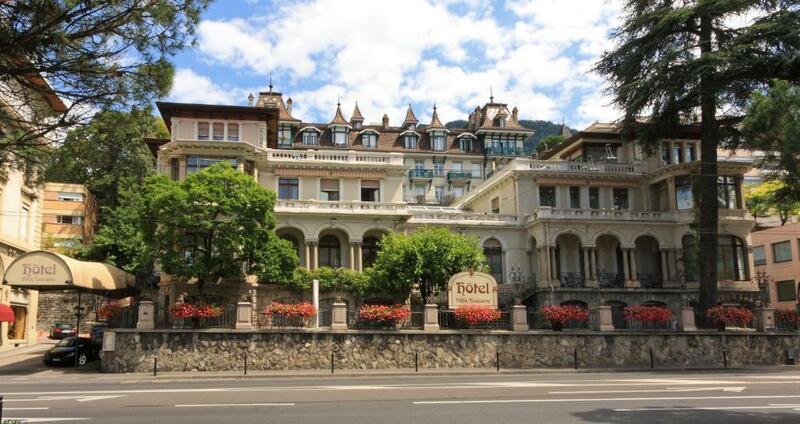 It is also nice to have included access to the amenities offered by the Royal Plaza Montreux & Spa across the street, but at a discounted price (especially for Montreux). The building has a historic feeling to it. WiFi was also fast and included. Gym was adequate, especially for Europe which are usually meager. Beautiful property , good location , good service. The facilities were clean and very charming. Staying only one night with my girlfriend, we weren’t disturbed by any noise whatsoever during the night. The bed was confortable and the hotel quite well situated for what we were in Montreux for (celebrating our aniversary at Montreux Jazz Café), and also not so far away from the city centre. We used only the swimming pool and Jacuzzi which are free for use, and both were ok.
Our beautiful room at Villa Toscane and Curtis at the front desk who was wonderful! 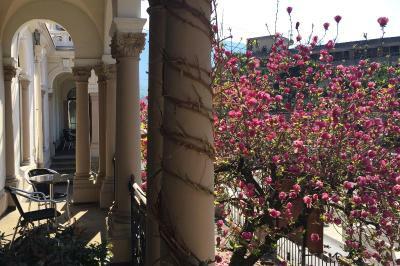 We booked the Villa Toscana but on check-in we were told that it was being renovated and we were given a room at the mother hotel Royal Plaza! The location is awesome, right by the lake and a few minute's walk to downtown and the Casino. There was a slight misunderstanding about breakfast opening times, so we arrived 15 mins after closing time, but the staff reopened the buffet just for us! Very friendly and helpful staff at all levels, providing great service! 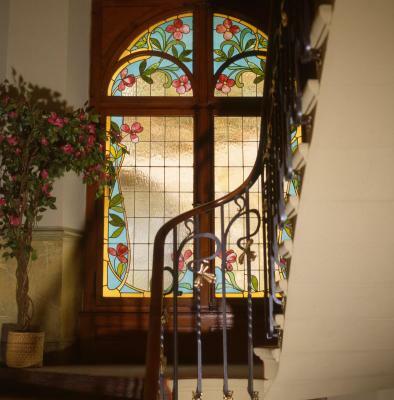 Only a few steps from Lake Geneva, Villa Toscane is an Art Nouveau building with a beautiful interior design. 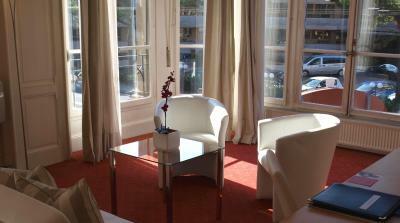 Free WiFi is available, and guests benefit from free use of local public transport. 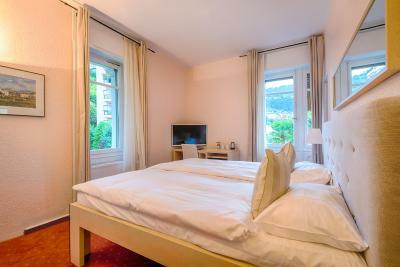 The rooms are decorated in a modern style and have a mini-bar, a flat-screen TV, and a bathroom with a hairdryer. 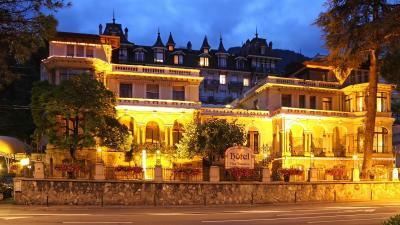 Check-in and express buffet breakfast consisting of bread, pastries, cereals, fruit juice and hot drinks take place at the 5-star hotel Royal Plaza Montreux & Spa, located across the street, and guests have unlimited free access to the spa area and indoor pool at Royal Plaza. There are also several offers on boat trips and excursions provided by the hotel. 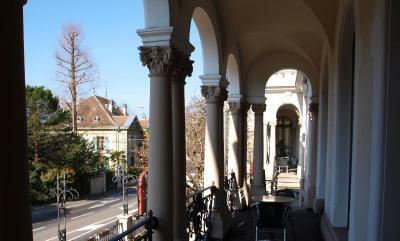 Montreux Train Station and the congress center are only a few steps away. 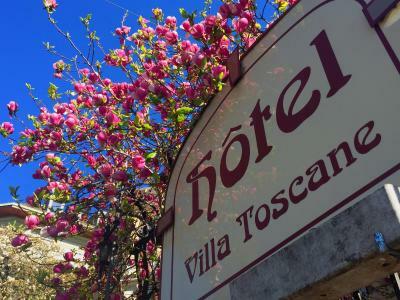 When would you like to stay at Villa Toscane? 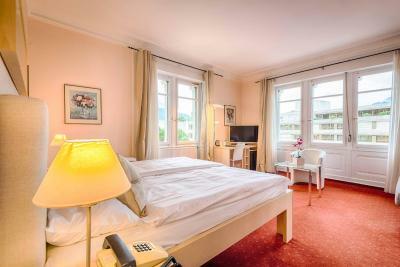 This room offers satellite TV and free WiFi access. 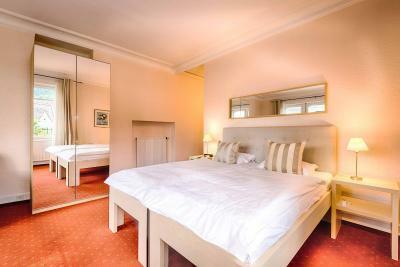 This spacious room offers high ceilings, satellite TV and free WiFi access. 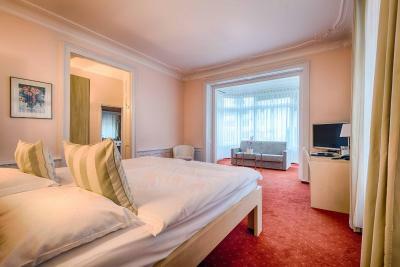 This room offers satellite TV and free WiFi access. 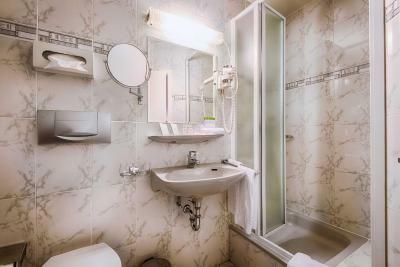 The private bathroom is fitted with a shower or a bath tub, a hairdryer and free toiletries. Please note that the rate is the same for 1 and 2 guests. 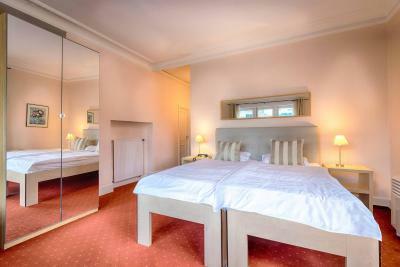 This room can accommodate up to 4 people and is suitable for families with 2 children. It features a seating area. 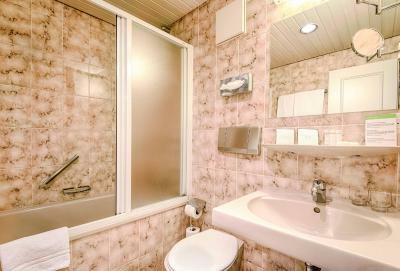 A private bathroom is fitted with a shower or a bath tub, a hairdryer and free toiletries. 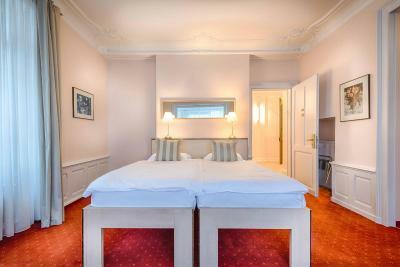 This spacious room offers high ceilings, satellite TV and free WiFi access. 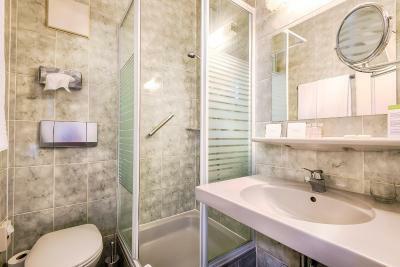 A private bathroom is fitted with a shower or a bath tub, a hairdryer and free toiletries. 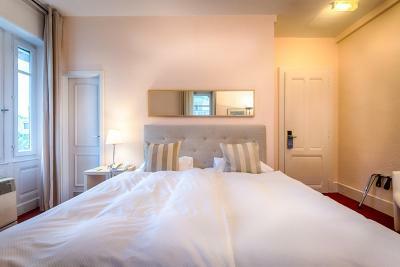 It features a double bed or twin beds, as well as a sofa bed. Please note that the rate is the same for 2 and 3 guests. 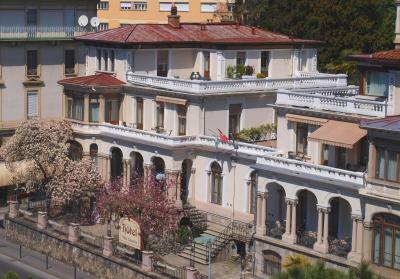 The Villa Toscane is a charming villa in the Art Nouveau Style, built in 1904. 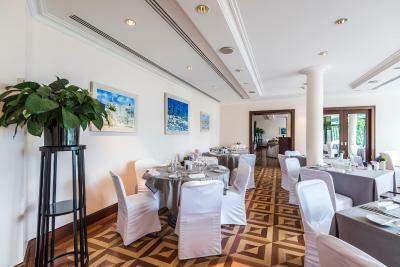 House Rules Villa Toscane takes special requests – add in the next step! Villa Toscane accepts these cards and reserves the right to temporarily hold an amount prior to arrival. 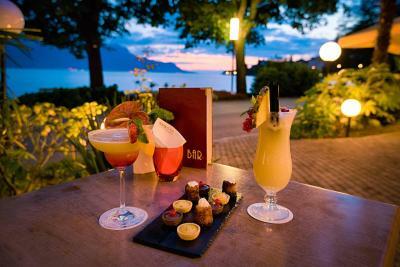 Check-in and the express buffet breakfast (bread, pastries, cereals, fruit juice, hot drinks) take place at the 5-star hotel Royal Plaza Montreux & Spa, located across the street, and guests have unlimited free access to the spa area and indoor pool at Royal Plaza. Please note that the price of the parking may vary from the standard one during events in the city. A security deposit is required upon arrival for incidentals. This deposit is fully refundable upon check-out and subject to a damage inspection of the accommodations. 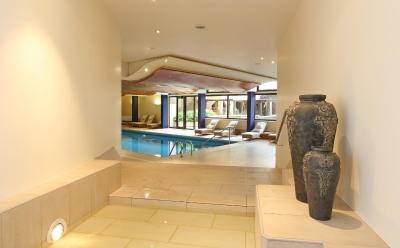 Please note that the amount of the deposit varies according to number of guests and length of stay. Please contact the property directly for further information. Contact details are stated in the booking confirmation. 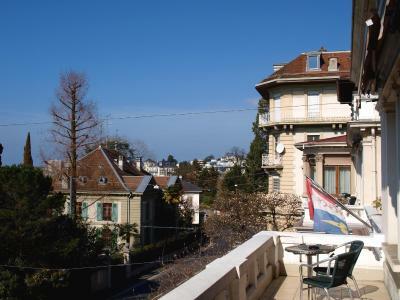 Please note that the Montreux Jazz Festival will take place between 28 June and 13 July 2019. During this period, in the evenings car access might be slightly difficult and some noise is also to be expected. 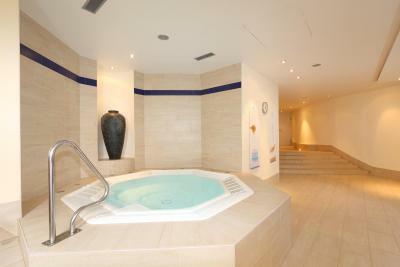 Guests may use the pool and sauna facilities of another property (1.2 mi away) during the period of annual maintenance of the hotel's own pool and sauna. 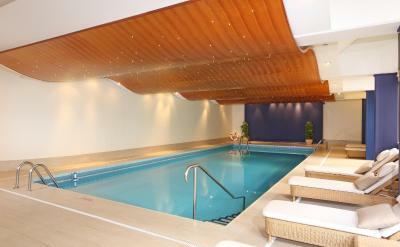 You are able to use the indoor swimming pool and jacuzzi across the road at their sister hotel. Travel adapters were available in the room to use as the region have the old european plug. Walking distance along the river to the town centre was beautiful. Great location.The room was very large. Room had everything that was needed for a short stay, we were able to use the spa and dining facilities in the Royal Plaza hotel which was great! The staff in the bar and restaurant were extremely rude to us. They clearly did not want to help us, until finally the manager caught on to how they were treating us and stepped in to help. Would not recommend eating there. The check in staff was helpful and the views were amazing. Parking is rather expensive and space (in garage) is tigth. We received an upgrade - all was fine. 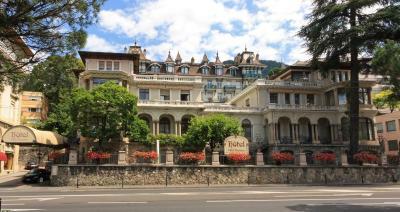 I initially booked a standard room at Villa Toscane, upon my arrival I was told I was being upgraded to Royal Plaza Montreux & Spa, the hotel was really clean, staff were very helpful and respectful at all times, from cleaners to reception staff, all made an effort to make sure I enjoyed my stay and was satisfied. The view from our bedroom was expectacular (will be posting picture) , very impressed with my stay overall. Everything is so perfect until you can hear the children upstairs, above our room running until 00.30 :( so irritating though. But i guess you can do anything because it is a old hotel, the wood flooring is old but beautiful. I got the exact room that i saw online and was so amazed of the size of the room and i love the windows,too. Everything is so perfect until you can hear the children upstairs, above our room running until 00.30 :( so irritating though. Over all im happy that i stayed in that room and we spend our new year there. Smell of the non smoking room, room size varies quite a bit. You are able to save a bit of money but in my opinion it is worth it to spend a little more and be in the main hotel across the street. Room sizes, comfort, direct access to amenities was worth paying more than staying at the villa. The staff were very accommodating. We were unable to get one room for all as it was last minute due to our actual booking being cancelled. One of the rooms smelled terribly of cigarettes and I was not comfortable having my kids sleep in that room. The staff did their best to accommodate our problem. I thought the breakfast was very average and not good value.